The online world and yarn universe has changed dramatically in the past few years. 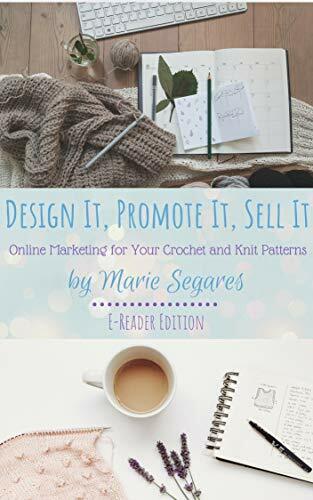 This book includes a crash course in marketing, dozens of ways to promote your patterns online, suggestions for posting on social media, tools for using analytics to find out what is working, and checklists and resources to use in your own business. Learn the tools you need to get your patterns in front of the right customers. Get your kindle edition at the affiliate link below!